From the Tools menu select Internet Options. Select the Security tab, and then select the Custom Level button. Scroll down until you see Scripting options. 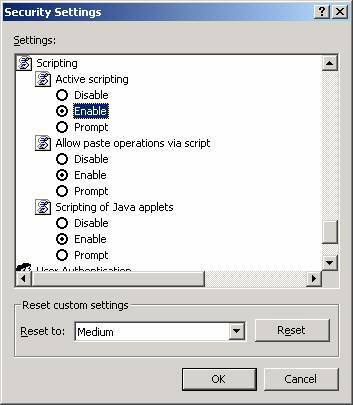 Make sure the Enable radio button under Active scripting is selected. Select the Privacy tab, and then click the Advanced button. Click both the Accept radio buttons. Check checkbox to Accept cookies from sites. 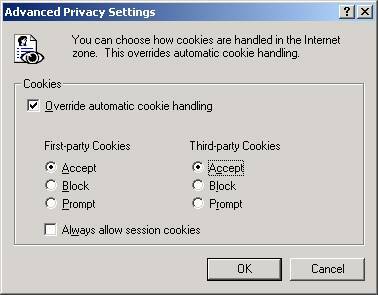 Check checkbox Accept cookies from sites, Check checkbox Accept thrid-party cookies and keep until: they expire. From the Safari menu select Edit and then Preferences. On the same screen check the checkbox to Accept Cookies Always. We offer an exciting referral program to our independent courthouse researchers for simply referring other people to us. In order to ensure that our independent courthouse researchers are rewarded, we made the “how you heard about us” question mandatory. Some counties have more than one courthouse to collect records for. If one of the counties you are applying for has more than one recording office then you will see a Recording Office Location listbox appear. Please select the recording office(s) that you are interested in. If a county does not have more than one courthouse than the recording office listbox will not display. What's the benefit of selecting more than one county? The more counties you agree to collect data in the higher your potential earnings become. Typically we pay $0.30 cents per accurate record uploaded. If you agree to collect data in more counties, then you will be able to collect more records. You can quickly increase your earning potential by collecting data in multiple counties. What if I own a Mac Computer? Unfortunately, our collection software only works on Windows computers. If you own a Mac computer, you can run our collection software with PC emulation software. If you do not have PC emulation software for your Mac computer, then please select none of the above in the dropdown list for the type of computer that you own. Why do I need reliable transportation? You will need to physically visit courthouse to collect data. In order to visit the courthouse and meet assignment deadlines, reliable transportation is crucial to an independent courthouse researcher. Great, we will train you to become an independent courthouse researcher. Many of our independent courthouse researchers start out without having any experience. Piece Rate means that you get paid per piece. In our case this means that you will get paid per accurate record uploaded. How important is my WPM score? WPM is a very important factor in this job. This job will involve typing alpha numeric characters. It is important that you answer these questions with truthful and accurate numbers. How important is my KSPH score? KSPH is a very important factor in this job. This job will involve typing alpha numeric characters. It is important that you answer these questions with truthful and accurate numbers. Why is my cover letter getting cutt off? You will only be able to enter 3000 characters, including spaces in the Cover Letter box. Why is my resume getting cut off? You will only be able to enter 3000 characters, including spaces in the Resume box. This program doesn't support using your browser Back and Next buttons. You will need to use the buttons within the program to move back and forth within the program. Why isn't my application submitting after I click submit?